Along Came Poppy: 366 Books in 366 Days: Are you in need of a giggle? 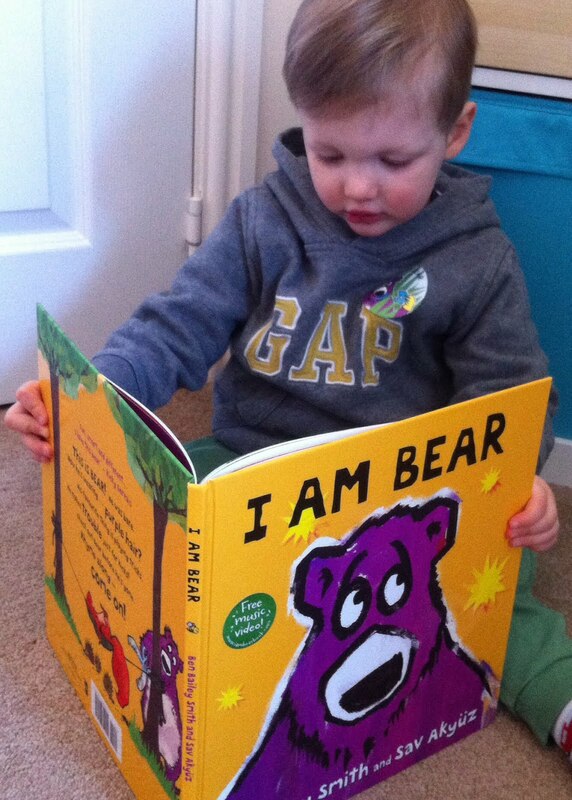 A fantastic rhyming tale about a very cheeky purple bear who loves to play and do magic tricks. The illustrations, couldn't be bolder or brighter and they capture the bear's expressions and mischievous nature brilliantly. This quickly became a firm favourite in our house and always gets a giggle! 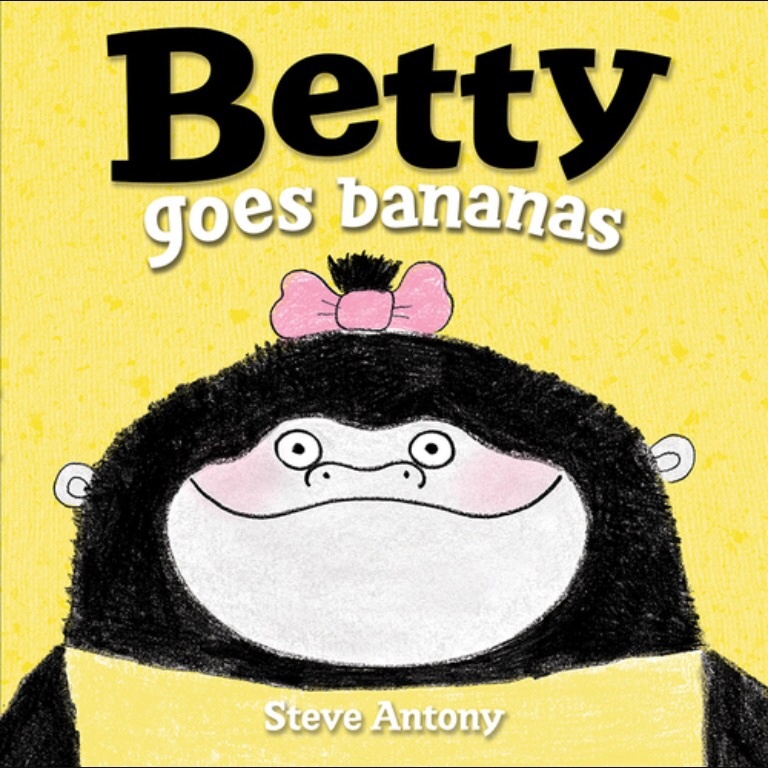 An amusing tale from Steve Antony with great characters and superbly bold illustrations. Betty has a lot in common with my banana obsessed, two year old. They are both stubborn and determined to do everything by themselves. Then when things don't quite go to plan the tantrums follow! The sequel "Betty Goes Bananas in her Pyjamas" is just as funny. This is a children's book with a difference, it has no pictures! However, it certainly is not boring, just simply full of silliness. I thoroughly enjoyed reading this book out loud to Izzie and Theo and by the end Izzie was actually rolling around on the floor giggling. Definitely give this book a go, it's totally unique. Just don't be shy when reading it, the more you put into the daft noises the more enjoyable it is! Good luck! The brilliant sequel to one of my favourite children's books, "The Day The Crayons Quit". This time the disgruntled crayons have been misplaced and have sent postcards home. Learn how each one got lost and find out if they will ever get back. Just as clever and witty as the first book, it will definitely raise a smile. We really didn't want to take this one back to the library either! There are so many funny children's books out there. We would love to know which ones get you giggling? Disclaimer: These five books have already been included in our 366 Books in 366 Days reading challenge. We were fortunate enough to win copies of "I Am Bear", "The Book With No Pictures" and "Betty Goes Bananas" through various giveaways on social media. "Oi Frog!" 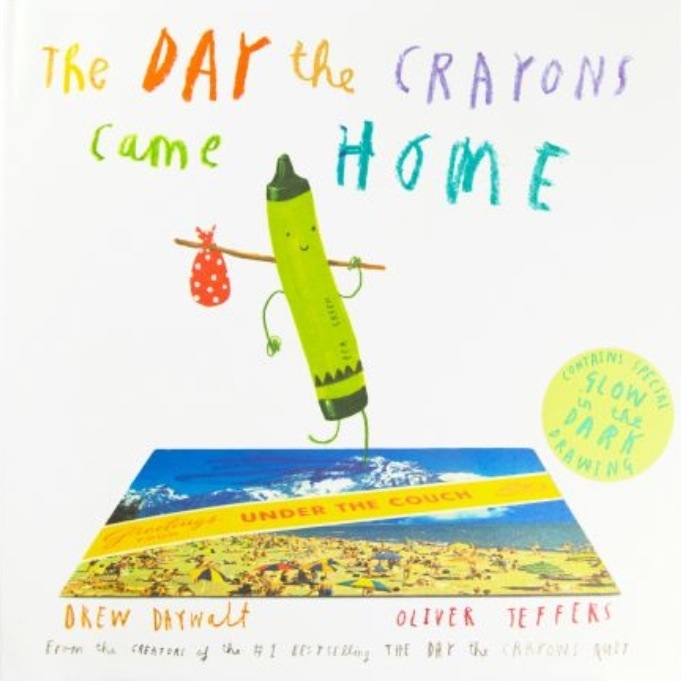 and "The Day The Crayons Came Home" were both borrowed from the library. All the opinions expressed above are my own. 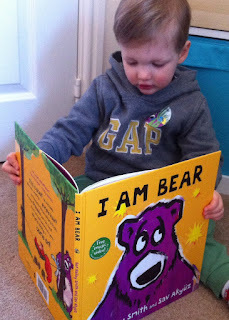 I've not read I Am Bear or Betty Goes Bananas but I love the others on your list. We find Claire Freedman's Alien books funny and I recently started reading the Paddington books to my daughter, I had tears of laughter rolling down my face when I read some of the stories. That doesn't often happen! Fingers crossed for a third crayons adventure! Really enjoying the other linked #readwithme posts. Thank you for hosting! I love the sound of that frog book and I think laughter is a good way of diffusing things. 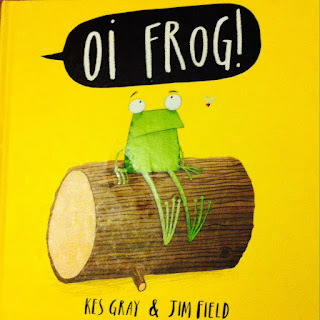 We love Oi Frog, so funny! 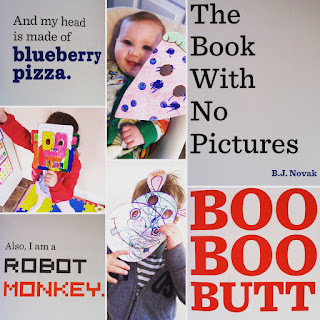 I think I will add The Book With No Pictures to my soon to be 4 year old birthday list, I've heard great things about it. I recently read my son some Michael Rosen poems, he thought they were hilarious and regularly quotes them! Oh fantastic, yes I will have a look at it!